You are here: Home / Outdoors & Garden / What Do Goats Really Eat? It’s quite possible we have Hollywood or Madison Avenue to blame for thinking goats will eat anything they find. 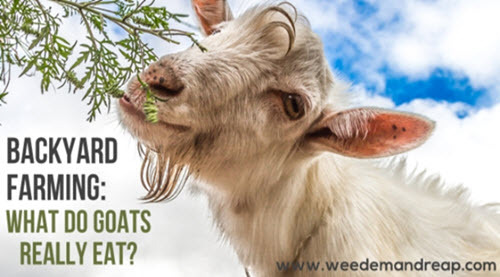 But if you have goats, you need to know what they like to eat. And the truth is, when they’re fed properly they’ll skip snacks like your trampoline or your wood furniture.